Nana Patole, who appeared to support veteran BJP leader Yashwant Sinha, 79, during his recent protests in Maharashtra, had also accused the Devendra Fadnavis government of being "insensitive towards the problems of the farmers". 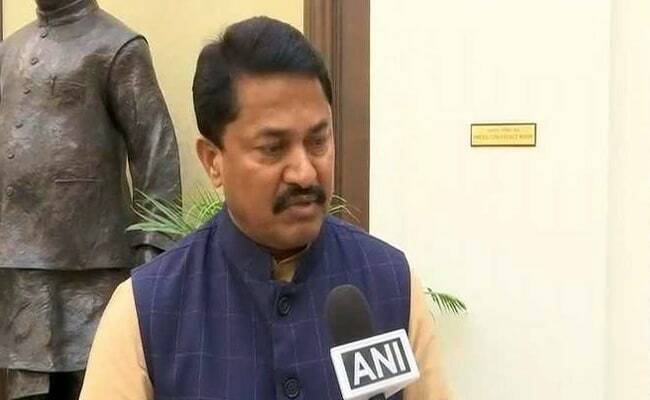 BENGALURU: Nana Patole, a BJP Maharashtra leader who has been critical of Prime Minister Narendra Modi, said on Friday that he had exited the BJP and quit his Lok Sabha seat. The first-time parliamentarian who had recently opened a front against the BJP government said he hadn't been voted to Lok Sabha to "enjoy but to work for the public". Mr Patole, who had defeated former minister Praful Patel in the 2014 general elections, is the first BJP lawmaker to quit the party. He hasn't announced his future plans, saying he would consider throwing his lot with "some like-minded" political outfit. But the 54-year-old politician already has an open offer from former Chief Minister Ashok Chavan to join the Congress. "The objectives with which I had joined the (BJP) party have been belied... now I am free of the turmoil in my mind," Mr Patole, 54, told reporters shortly after submitting his resignation letter to the Lok Sabha Secretariat. Mr Patole, who appeared to support veteran BJP leader Yashwant Sinha, 79, during his recent protests in Maharashtra, had also accused the Devendra Fadnavis government of being "insensitive towards the problems of the farmers". Maharashtra Chief Minister Devendra Fadnavis hasn't commented on the lawmaker's exit yet because he was yet to get full details on the matter. Mr Fadnavis said he would "comment at the appropriate time". Mr Patole had hit the headlines in September this year after reports that he had criticized PM Modi's style of functioning, claiming that the prime minister did not like to be questioned and had become very angry when he had raised some issues about backward community and farmers.